Hi everyone! 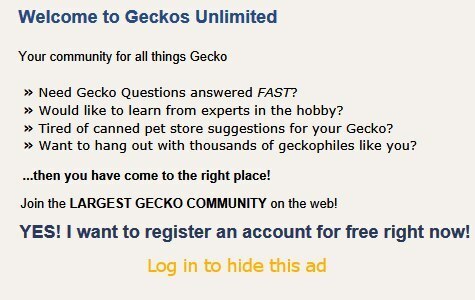 This weekend I plan on purchasing my first gecko. I want to make sure I have my husbandry on point before bringing one home. I live in SW Texas where its pretty hot & humid ~3/4's of the year. As of right now (Mid March) my room is measuring at 64.5% humidity & 71F (temp drops to 69F when A/C kicks on for about 5-10 mins). When summer comes I expect the temp to drop since its usually around 100F outside & we turn our A/C unit on in the house. I have the terrarium in an area that's mostly covered with shade. ***As of right now***, Im using Jungle Mix as a substrate with no live plants in a terrarium thats equivalent to 10 gallons. Should I have a low wattage heat source to help supplement UVA rays & increase the temps slightly? I'm comfortable with having 71F as a base temp, I'd just like a slight gradient to increase activity & make sure its not too cold all the time. I know I'm probably over-thinking this, I just want to be as responsible as possible! Welcome to GU! I don't feel that 71 is a problem at all, though others may feel differently. If you feel better having more heat it's fine as long as it doesn't get above the low to mid 80's. Welcome aboard! Have you a vertical enclosure? Experiment with a 25 watt incandescent bulb in a dome fixture timed by an analog timer. Cresties bounce like Tigger and need resilient plants. Consider potting a Sansevieria (snake plant) in it's own terra cotta or plastic pot for your crestie's home. Last edited by Elizabeth Freer; 03-26-2019 at 04:17 AM. Yes, right now he's in a 12x12x18 because he's still kinda small. I bought a 5(or 6..?) watt LED light & now it's stays around 72-72.5 during the day. He found a nice little hiding spot in his elephant leaf decoration & seems pretty happy! I love this little guy so much already.